Get started designing your ideal home office with 3D model and architectural rendering. These images show the latest renderings our 3D models home office. 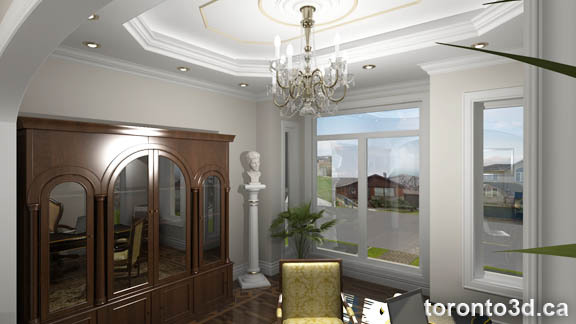 This is a classical design, functional, home office with the experience and taste of designers Toronto3D. 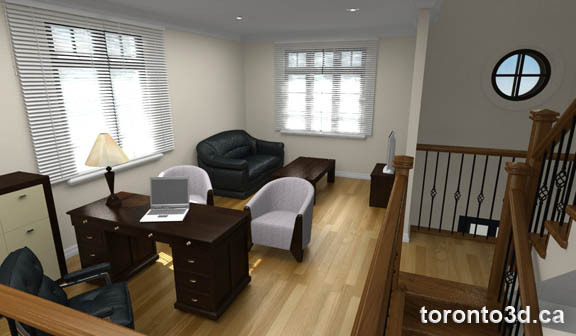 3D Model of home office shows office furniture, picture placement, walls colors and floor design. Home office design ideas are no matter what your style. We’ve got home office advice to help you show ideas into virtual reality from traditional looks to contemporary. We do our job on time and on budget!